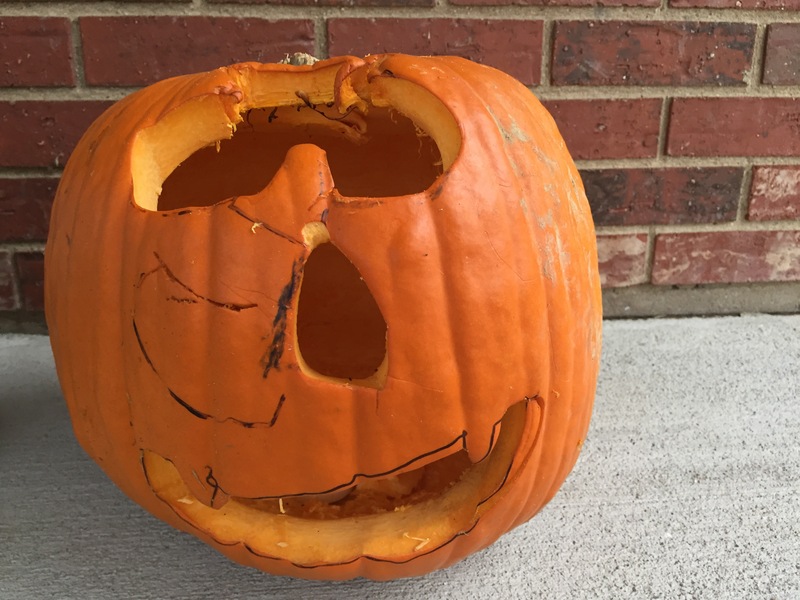 It is pumpkin carving season again and the boys each picked out one to carve up the road at Kluba farms. 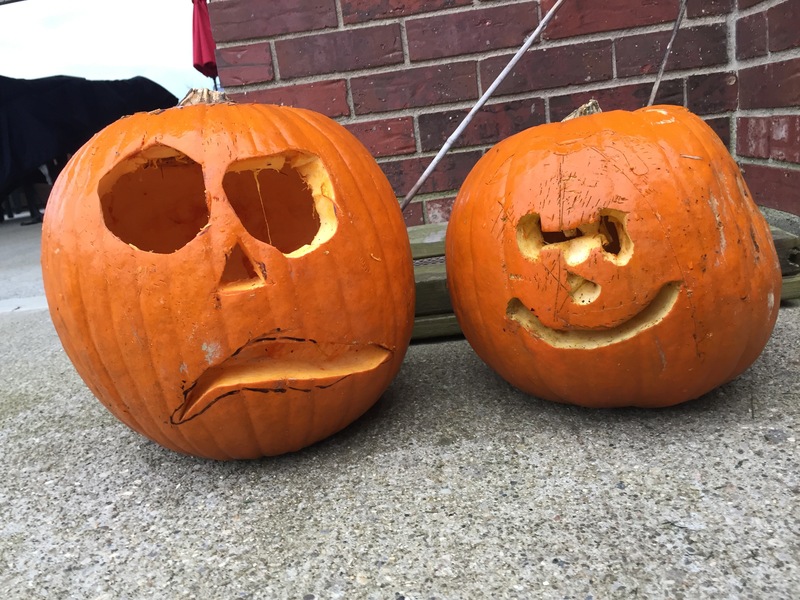 While my in laws were here this weekend, the boys got busy with their grandparents cleaning out the pumpkins and carving some fun faces on them. 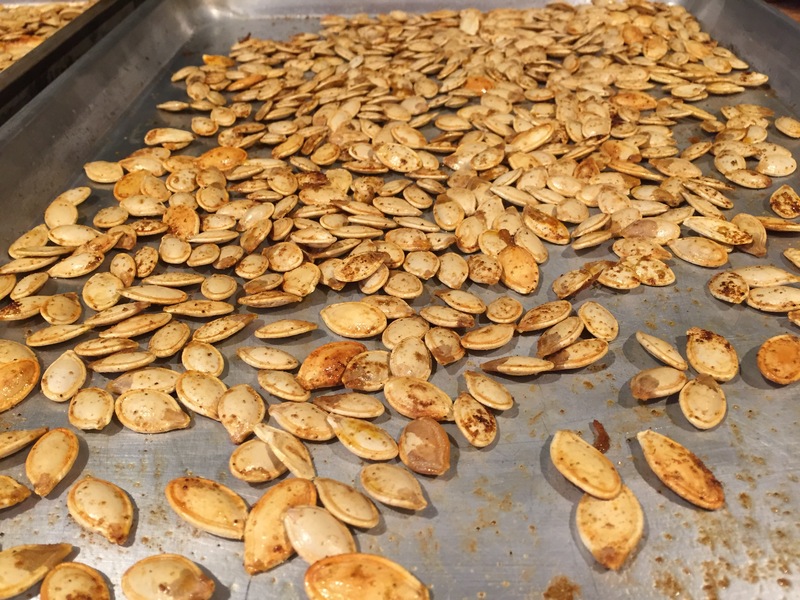 I asked them to save the seeds so I could roast them. They did, and I ended up a large colander full. 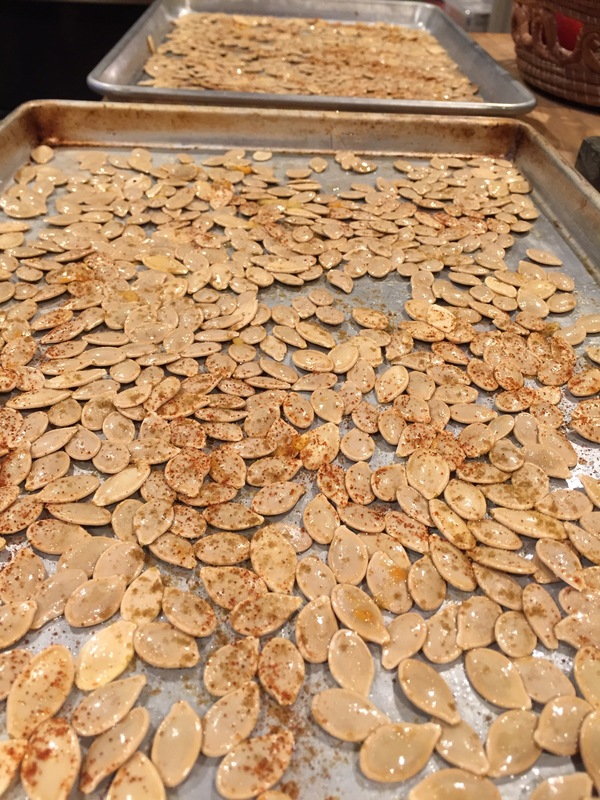 I cleaned them and then soaked them overnight in a salt solution: put the colander in a bowl, pour about a quarter cup of salt over the seeds then add water until the seeds are submerged. This morning I drained the seeds then tossed them in olive oil and sprinkled them with cumin and paprika. I spread them out on two cookie sheets in one layer. They went into the oven at 400 degrees for 20 minutes. I took them out midway through and turned them. You know they’re done when they turn golden brown. It’s a dreary, cool and rainy fall morning here but the house is filled with the rich, warm smell of the spices and toasted seeds. Now I’m on to cutting up pears for more pear butter. This looks like it’ll be a good day to stay tucked up in the house, working in my kitchen.